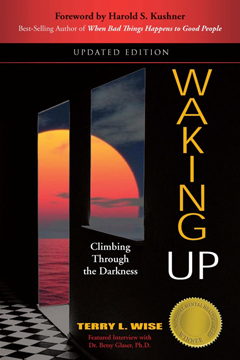 Terry Wise’s book about her therapeutic journey through suicidal depression is riveting, compelling, beautifully written, and unique-it’s the first book to truly capture the long-term rhythms, struggles, and hard-earned successes of contemporary psychotherapy. Moreover, the psychotherapy portrayed is one that struggles with some of the most salient issues of our time: child abuse, depression, suicidality, the tension between giving to others and taking care of ourselves. The dialogue between the patient/author and her extraordinary therapist is intense and powerful, full of phrases and confrontations and insights that will affect all readers. This is a book that is certain to be appreciated (and used) by therapists and academics; it is very easy to imagine therapists telling their patients that they must read this book. But a wider public will also take to this poignant and emotionally rich tale-one does not have to be a patient nor therapist to regard this work as enriching and memorable.